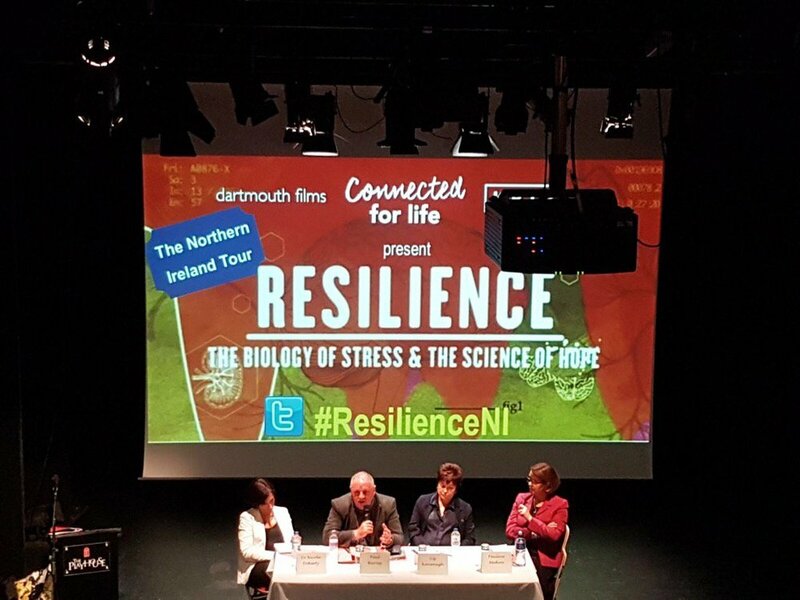 The Northern Ireland Tour of Resilience began on 26th June 2017 with our premiere in Belfast. We facilitated 5 further screenings in September 2017, in Downpatrick, Derry / Londonderry, Omagh, Portadown and Antrim. Around 650 people attended those screenings and shared what they heard in their workplaces, communities, families and with their friends. 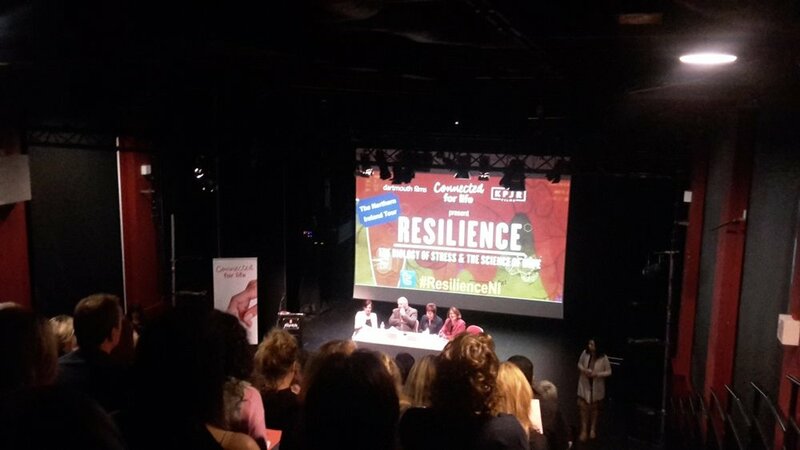 The Tour of Resilience in N Ireland followed the Resilience Scotland Tour and took place at the same time as many screenings throughout the UK. The screenings have resulted in an explosion of interest in the film and in the concept of ACEs generally. 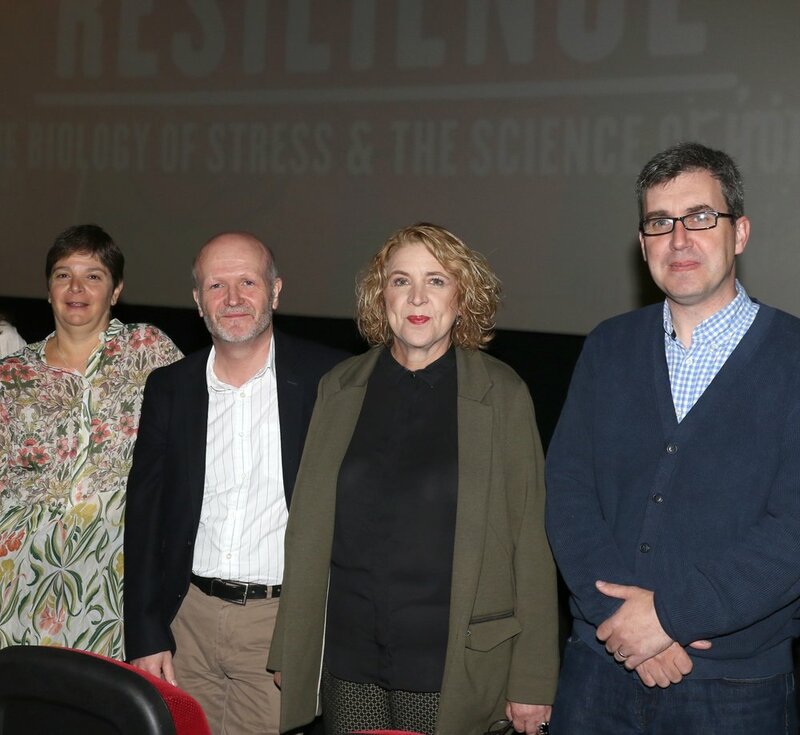 We have facilitated many private screenings of Resilience since for organisations and groups and have now shown the film to well over 1000 people and hope to continue to increase these numbers. This film is only part of the journey towards making N Ireland a trauma informed society. 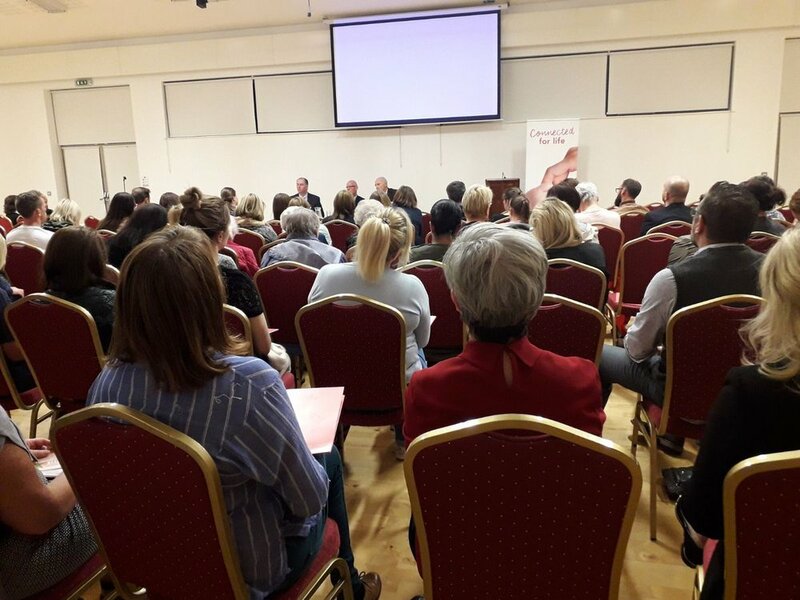 There have been many exciting events happening in N Ireland recently, including the first Northern Ireland Adverse Childhood Experiences conference on 13th November. 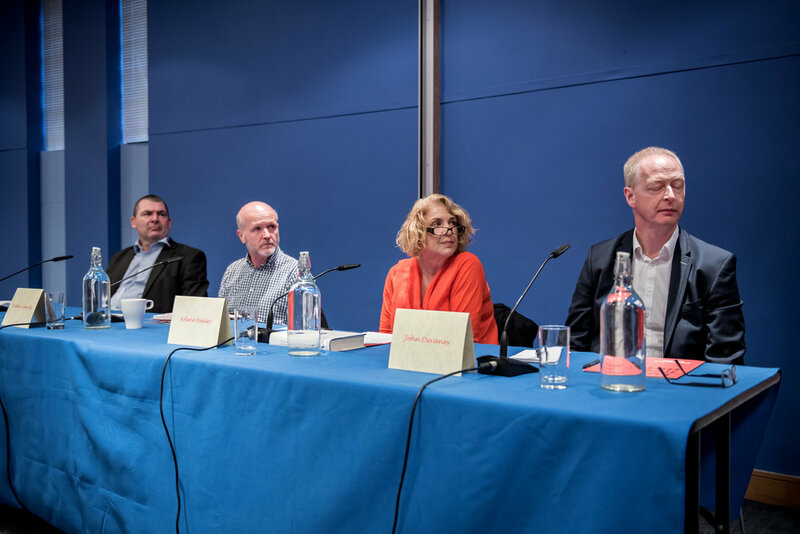 These events suggest that, as a community, we are starting to sit up and take notice of the powerful and far reaching impact of childhood adversity, to endeavour to prevent it and support those impacted by it. Kieran Downey (Executive Director of Social Work & Director of Women & Children’s Services in the Western Trust), Orla Conway (Team Leader for Omagh Women's Aid), Mustapha Benhassine (Children’s Services Manager at Barnardo’s Strabane Family Centre), Paul Harvey (co-founder of Irish Attachment In Action and Model of Attachment Practice Project Lead in the Western Trust). 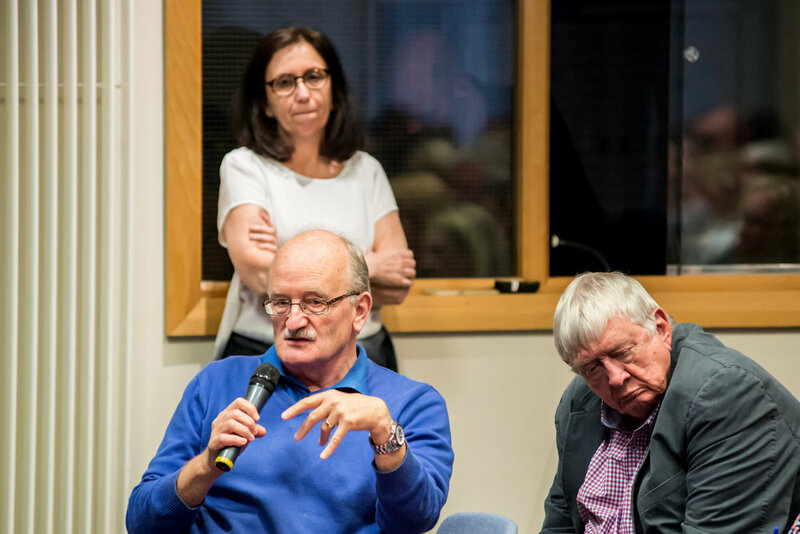 Maurice Meehan (Head of Health and Social Wellbeing Improvement for the PHA), Julie Healy (Senior Manager and Head of Programmes at Barnardos), Paul Morgan (Social Services Officer at Department of Health).